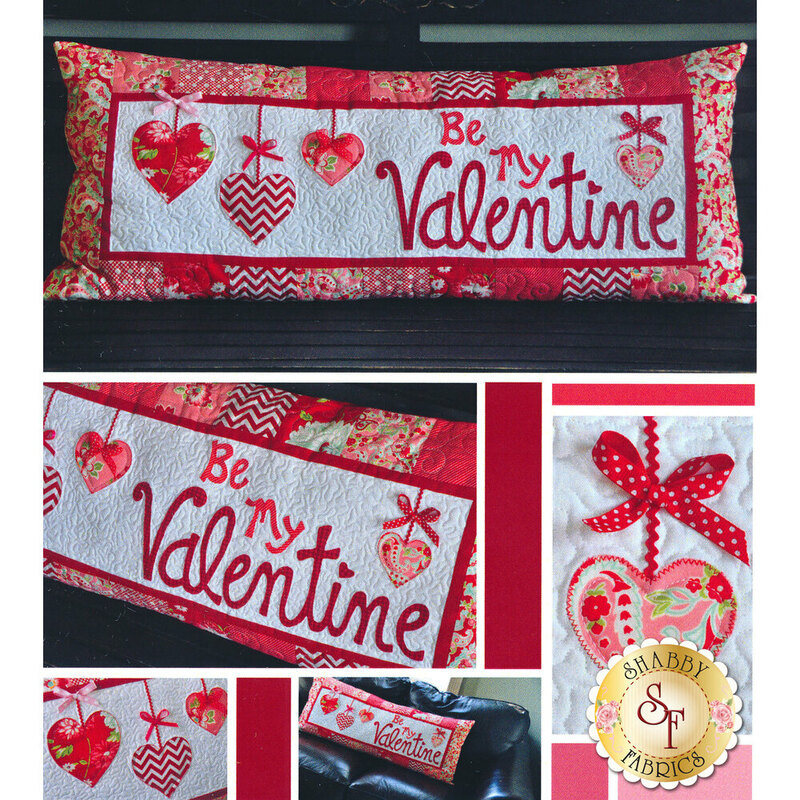 The adorable Be My Valentine interchangeable pillow cover by Kimberbell Designs is perfect for February! 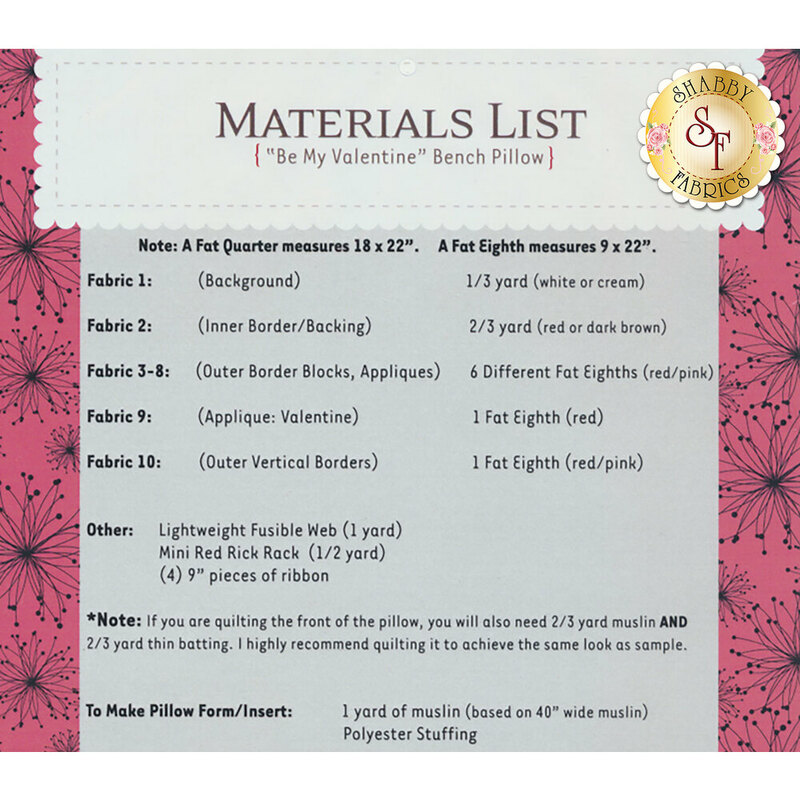 Instructions for making the pillow form, as well as the Be My Valentine cover are included in this pattern. Finished size is approximately 16" x 38".